Construction Injury Caused by a Third Party? Construction sites are one of the most dangerous environments that a person can work in. Workers are risking your safety every time they go into work. Further, you are trusting several parties — such as a civil engineer and/or architect who designed the project you are working on. When there is a defect in the design, everyone working on that construction site is at risk of getting seriously injured — or even suffering wrongful death. 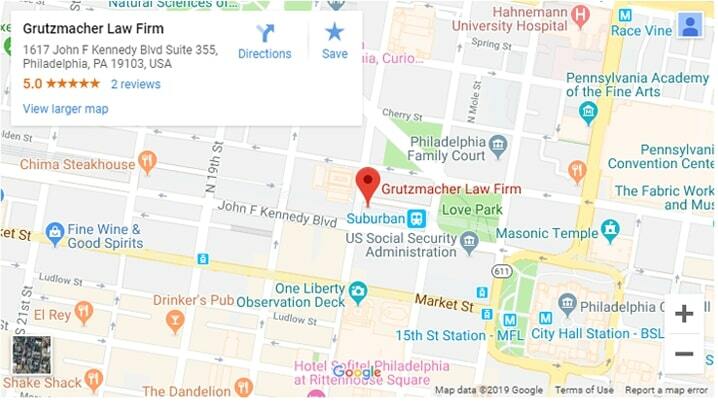 Philadelphia construction accident lawyer, Adam Grutzmacher, has made a career out of helping wrongfully injured victims seek restitution. Since opening his local Philadelphia firm over a decade ago, he has successfully litigated personal injury cases involving construction accidents in Pennsylvania as well as New Jersey. Since then he has built a reputable presence in the legal world as a fierce litigator for clients seeking social justice. He knows how to build strong cases and will fight tirelessly until a favorable and just outcome is reached. There are many different parties working on a site throughout the course of construction. You not only have construction workers present, but also surveyors and inspectors who could be on the premises. If one of the third party companies on site was responsible for an injury you and/or a co-worker suffered, then you have the right to file a third-party claim in an attempt to seek compensation. You cannot file a third-party claim against your own employer or company you work for. It can be difficult to determine exactly who is at fault for a construction accident precisely because there can be so many parties involved. Further, once you do determine who is liable, you then have to prove the guilty party’s liability. This can be difficult to accomplish and the opposing parties will likely try to make that extremely challenging. Having an experienced Philadelphia construction accident lawyer by your side can help you investigate the details to prove fault as well as protect and negotiate on your behalf. What are Common Construction Defects? Cheap materials. Oftentimes, money is tight — especially on a project that keeps seeing setbacks. To compensate for lost money and time, builders and property owners often make the decision to use lower quality materials. This, however, will have consequences at one point or another. It will take less time for normal wear and tear to become apparent in major ways. Alternatively, the materials may not even work as they should from the start. For example, a window that leaks every time it rains even though it has been installed properly. Design flaws. Workers could be building everything according to plan and get injured or killed because a structural support caves in on them, for example. This could be determined an injury — or wrongful death — due to a design flaw and the engineer or architect responsible for that design could be held liable in a personal injury case. Structure stability. If the grounds were not properly stabilized — and causes a landslide, for example — then an injured person has a right to pursue legal action. Common defects that can result from structural instability include damaged foundations, drainage issues and improper settling of the structure which could lead to serious structural problems in the future. These and other construction defects are often the cause of serious personal injury. If you or a co-worker were injured in a construction accident due to a third party’s negligence, then you deserve compensation for past, current and future damages. Construction workers, surveyors and other city workers all put themselves at risk when they step onto a construction site. No one wants to make a mistake, but, unfortunately mistakes are often made to the detriment of loyal worker — and their family in the event he or she suffers a wrongful death. If you or a co-worker have been involved in a construction accident that was caused by the negligence of a third party, then it is highly recommended that you seek legal representation. A qualified Philadelphia construction accident lawyer like Adam can help wrongfully injured victims by investigating your claim and fighting on your behalf for rightful compensation. Unsure how to proceed? Adam offers free consultations. You can come in and talk with him in person about your case and what legal options you have before making any final legal decisions about how to proceed. Contact us online or call (215) 880-1369 to schedule your consultation today.